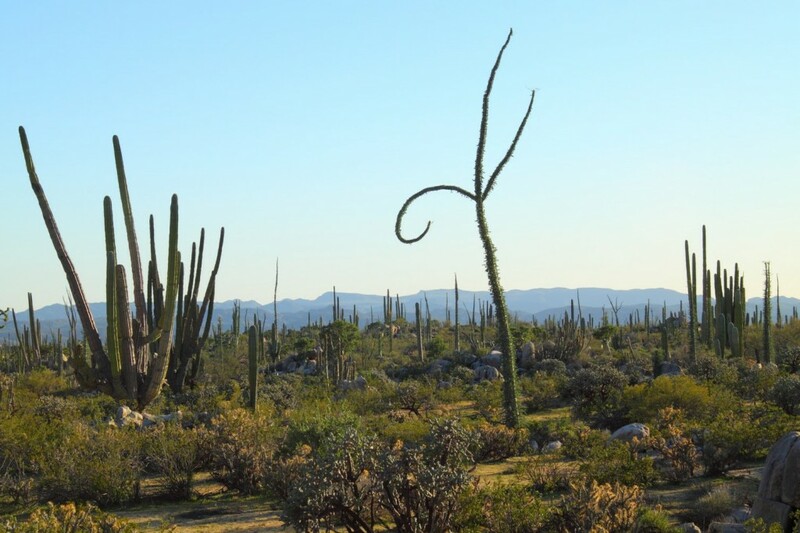 home › posts › The 10 Coolest Trees In The... ten trees planted for every item purchased. 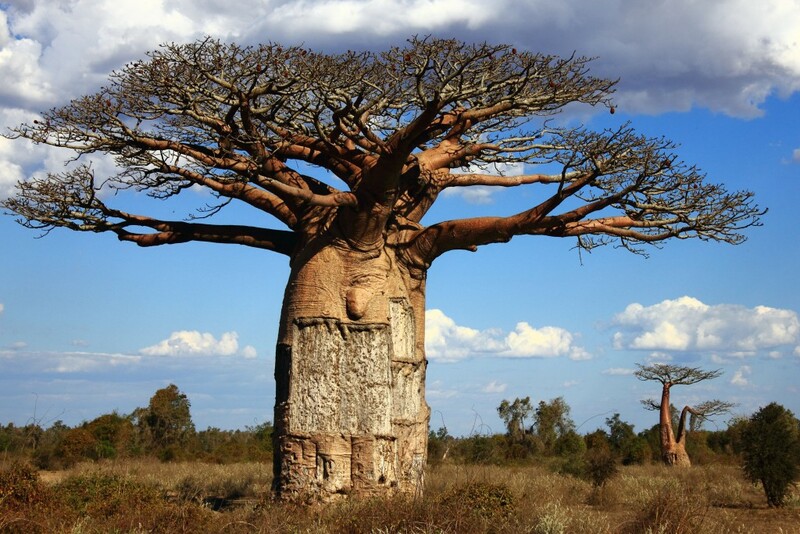 These magical trees are found naturally in dry climates, including Madagascar, Africa, and Australia. The baobab tree is known as the tree of life, because of its ability to provide shelter, food, and water to animals and humans; its leaves are medicinal and its fruits are edible and full of Vitamin C.
This tree, which means “Juniper Tree” in Spanish, is found on El Hierro Island in Spain. Its shape is crooked and bent due to the strong winds that mold it this way. 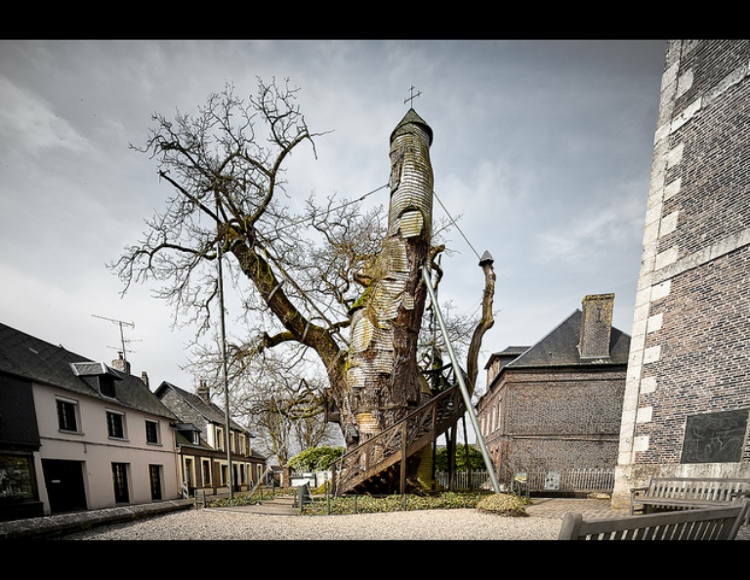 The Chapel Tree, or Chêne chapelle in French, is a remarkable oak tree in Allouville-Bellefosse in Seine-Maritime, France. Over 800 years old, the oak has a hollow trunk that were turned into two chapels built there in 1669 -- and they’re still in use. Enter the chapels by a spiral staircase that climbs up the tree. Socotra Island is one of the most remote places on earth, and many of its animal and plant species aren’t found anywhere else. 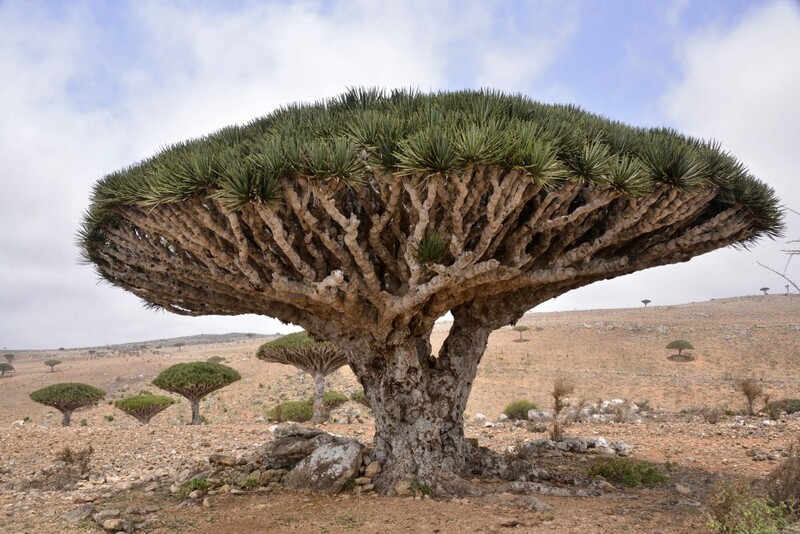 It’s home to Dragonblood trees, a rare species native to the island, which resemble umbrellas and have dark red resin (hence its name dragon’s blood). 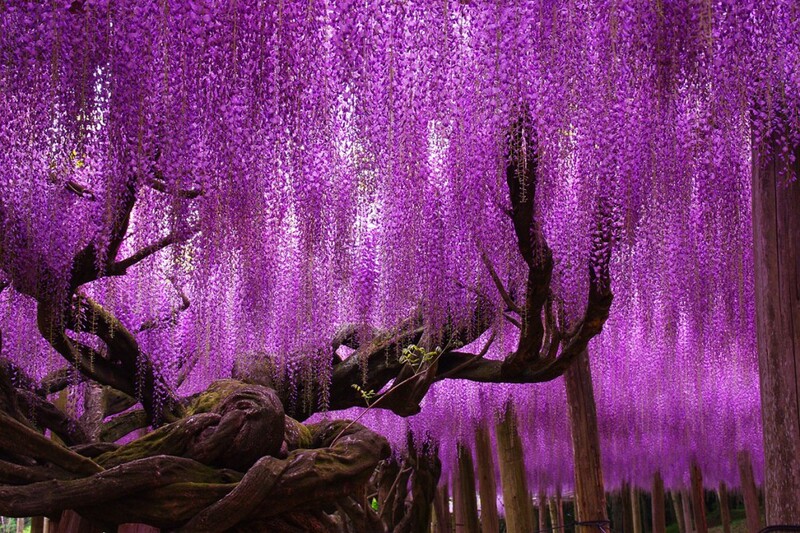 Wisteria floribunda are incredibly beautiful trees that paint the sky with purple and pink blossoms. While they may take years to first appear after you plant them, be aware that once they’re growing and in bloom, they take over and leave little room for other plants to grow. Also known simply as the Rainbow Tree, rainbow eucalyptus are tall, brightly colored trees and the only Eucalyptus species found in the northern hemisphere. Parts of the bark shed at different times of the year, revealing swaths of beautiful, vibrant colors, almost like a painting. These windswept trees in south New Zealand are quite stubborn: despite being doubled over by intense Antarctic winds, they hang in there. 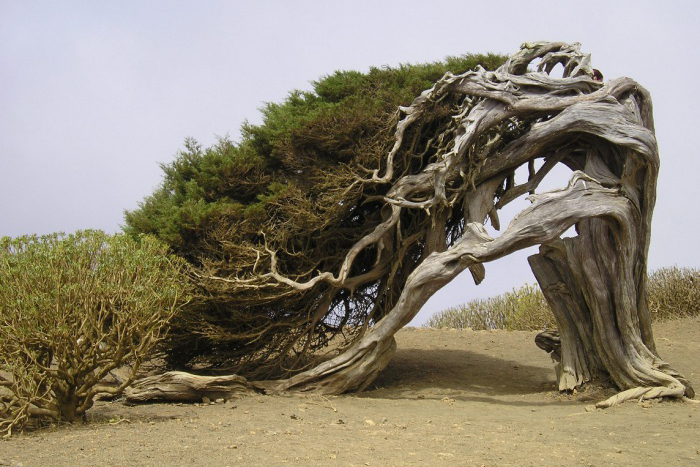 It goes to show how tenacious trees are. This cypress tree is found near a church in Santa Maria del Tule in Oaxaca, Mexico. It’s 119 feet wide and 116 feet tall, giving it the stoutest trunk of any tree in the world. Unfortunately, the tree -- which by some estimates is up to 3,000 years old -- is slowly dying due to pollution and traffic from a nearby highway. 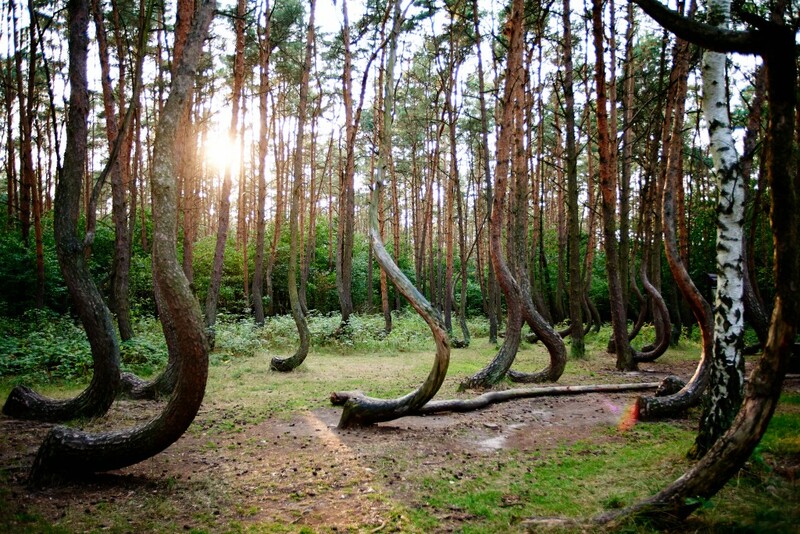 The Crooked Forest in West Pomerania, Poland, remains a mystery to this day. The grove involves some 400 pine trees that were reportedly planted in 1930, but no one knows why every single one of them was molded into a strange C-shape. It’s possible that villagers planted the trees then molded them into that shape to develop furniture or ships, but only the trees themselves know the secret. The post The 10 Coolest Trees In The World appeared first on tentree.